EWC Presenter is a new HTML5 based web application that allows everyone to easily create content in HTML5; we’re talking about presentations, infographics, banner ads, animations and virtually all other visual content in between. But before getting into the nuts and bolts of this app let’s remember the days not too long ago when you would visit a site and your browser would warn you to download a later version of Flash or Silverlight (Microsoft’ answer to Flash). For content publishers (ex. designers and developers would have to spend extra time to adjust the same content for number of browsers, displays and devices because content had to be optimized for different flavors of various browsers in particular Internet Explorer?). Those days are over thanks to HTML5, but the challenge to utilize HTML5 has been reserved for advanced level designers and developers; at least until now. A quick look back: not so easy to use, or is it? Unless you have been completely disconnected from new trends on the internet, by now you know that HTML5 is quickly becoming the standard for creating all types of content that is supported by virtually any device (web, tablet and smart phones) and any platform be it Mac or Windows. This is a huge victory for both consumers and content creators who have been waiting a long time for this level of standardization. HTML5 is an extension of HTML, the code that is the foundation of web page code and and combined with CSS3 (3rd iteration of Cascading Style Sheets) it serves as the fabric and glue that hold your content together to form a web page. You may not know HTML code, but you stare at tens if not hundreds of pages per day rendered in HTML including this one. Most of us just don’t have the time or experience to have to deal with code and would rather just visually form our content the same way we consume it. 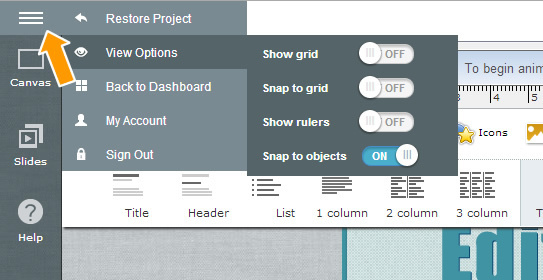 This is one of a few reasons why in the past Flash became so popular among designers. Designers don’t like to code; they are visual beings and Flash was a tool that virtually eliminated the need to code and allowed creating interactive content more easier than ever before. As mentioned, HTML5 is an evolution of HTML to a higher degree. We like to compare it to an athlete on steroids but without the negative side effects. But this power must be unleashed and not require endless hours of design as well as programming code which has traditionally been the case. Let’s face it, if you are a designer you don’t want to deal with code, and if you’re a programmer you often don’t have the patience to design an elegant graphic nor the expensive software for it. And if you’re neither a designer or developer and want to create professional content then you have been extremely limited to cookie cutter apps or faced the high cost of having to hire an expensive professional to do it for you. 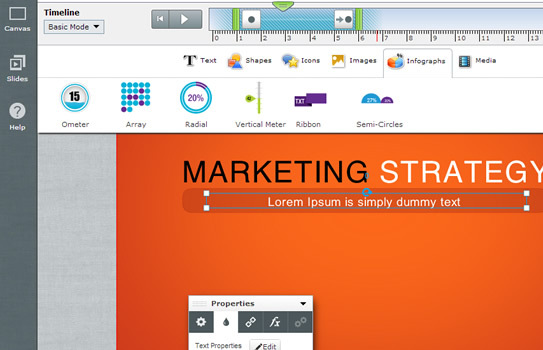 Presenter by Easy WebContent is changing the content creation experience for Everyone! 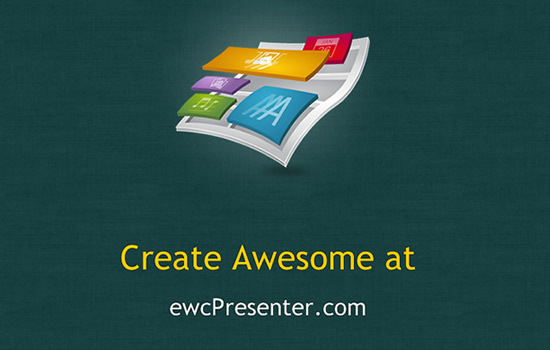 EWC Presenter (Short for Easy WebContent Presenter) is a powerful yet easy to use web application created entirely in HTML5 and runs on the cloud (meaning no downloads or installation and accessible from anywhere). EWC Presenter was developed based on years of experience of designers and developers at my web development company HindSite Interactive who have extensive experience in Flash, HTML5 and usability; checkout the award winning interactive version of our site back in 2009 www.hindsiteinc.com (oh you need Flash of course to view it). This has been a great formula for us, where we utilized our real world experiences including various challenges to develop Presenter to be a tool that took a multi-angular approach to solving the challenge of professional content creation for everyone. Let’s cut to the chase. What can Presenter do for you? Short answer: a lot. I don’t know about you, but I personally I’m tired of having 10 different logins and subscriptions to various tools and applications let alone have to deal with the learning curve of each application as it has it’s own way of doing thing. When I buy a tool I want it to do more than one thing; it not only saves me money, but it creates efficiency and better workflow in productivity. For example traditionally if you wanted to create a Presentation, you’d use Powerpoint, for banners use Flash, for infographics and other design elements use Photoshop or Illustrator and the list goes on. Each of these applications has it’s own restrictions and a learning curve different than the other and last but not least each costs hundreds of dollars. Presenter is consolidating all these challenges and eliminating the fragmentation, while at the same time providing a low learning curve app as well as powerful features so you can in a matter of minutes create professional visual content that can stand on its own or compliment and support other content such as blog posts and webpages. Templates for HTML5-based presentations, infographics, product demo, banner ads and pretty much everything else in between. Drag and drop photos, videos, shapes, icons, audio and other rich media content directly onto the canvas and customize them. 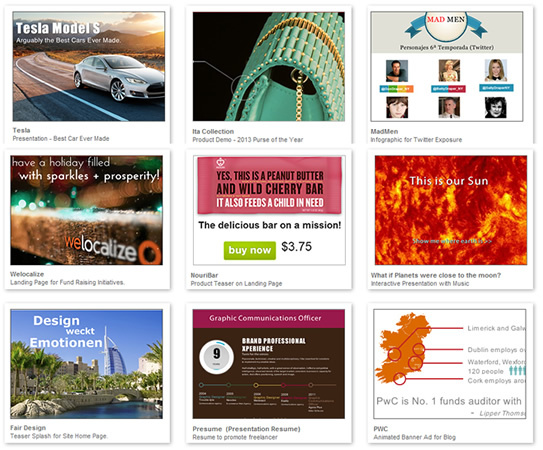 Animation tools for making presentations and infographics interactive and engaging. Special effects for adding drop shadows and reflections to image, text and other content. Publishing and embedding tools that allow creations to be viewed by anyone on any browser or device without special plugins as opposed to traditional tools that rely on Flash. 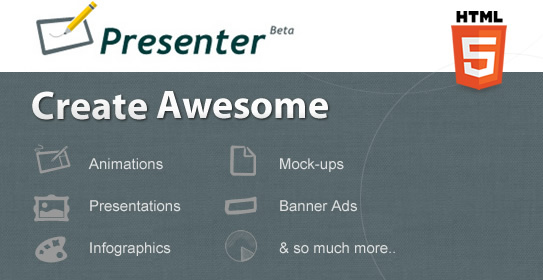 Great but what are the real life uses of using Presenter? Businesses can use Presenter to better promote their products. Individuals can create presentations, For example on an e-commerce site one can create a product demo to better present their product and highlight key areas. Bloggers can use it to better support and compliment their static text content, while students and teachers can translate their ideas to form engaging presentations and infographics, and the list goes on. EWC Presenter is used by our staff at HindSite Interactive, and other clients. This is big; if you use your own product and believe in it enough to push your own clients to use it who give you great feedback in how it is helping them to better engage their audience with a better content experience, then we must be doing something right. And it hasn’t been easy; we’ve clocked thousands of man hours, a number of iterations and hundreds of bug fixes later our system is becoming more stable and easier to use and will only get better as we work full speed to roll out new features and improvements in both functionality and last but not least user experience. So we invite you, all of you to set aside 15-20 minutes from your busy schedule, register for a free account at EWC Presenter and see how it can help you to create professional interactive content for your audience. Best of all we are just getting started. With our Beta release we have been collecting user feedback and using it to further improve the system. We listen to our users and will continue to do so as we roll out more features and functionality and work hard to improve the user experience. Payman Taei is the Founder of HindSite Interactive, an award winning web design and web development company in the Washington D.C. area and the founder of Easy WebContent, a cloud based Do It Yourself platform that allows everyone to easily create, edit and manage professional websites, presentations, infographics, banners and animations right in their browser.